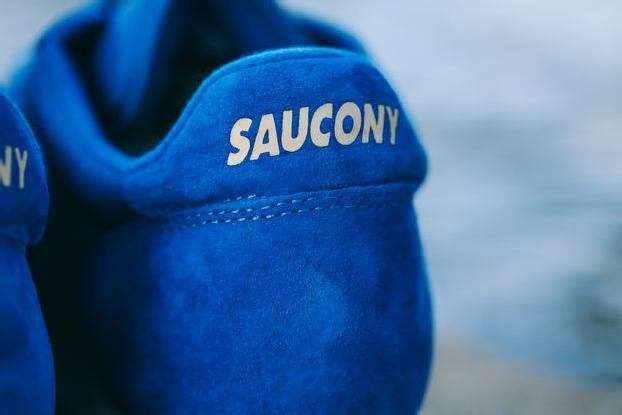 Russia’s Anteater Clothing streetwear brand was responsible for one of the most dashing collaborations of this year (so far): their “Sea and Sand” design on Saucony’s popular Jazz Original model. The elusive release is finally making its way to the States… and a very limited quantity is now available at the BAIT flagship in Diamond Bar! 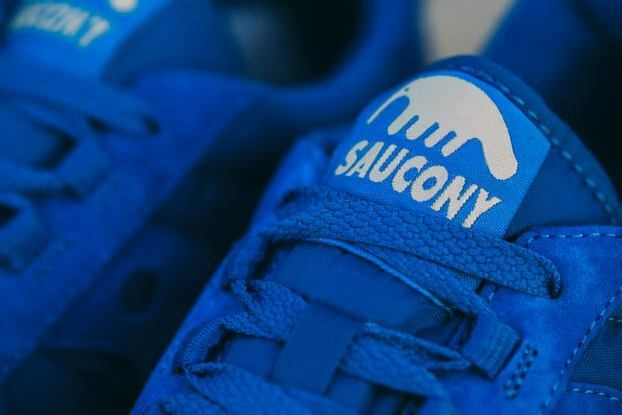 Continue reading for more information on the shoe and detailed images! 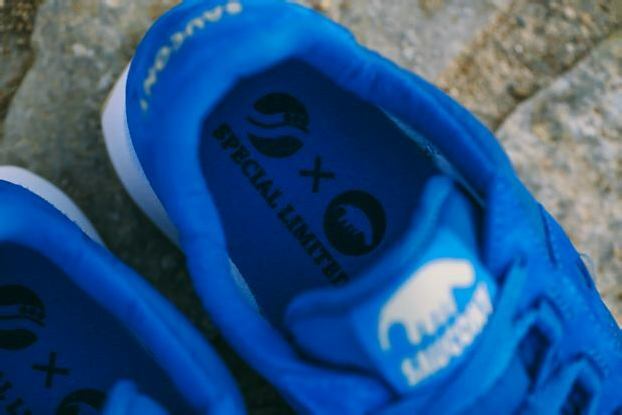 The team over at Anteater designed this colorway to mimic a wave breaking over the sands of a beach. 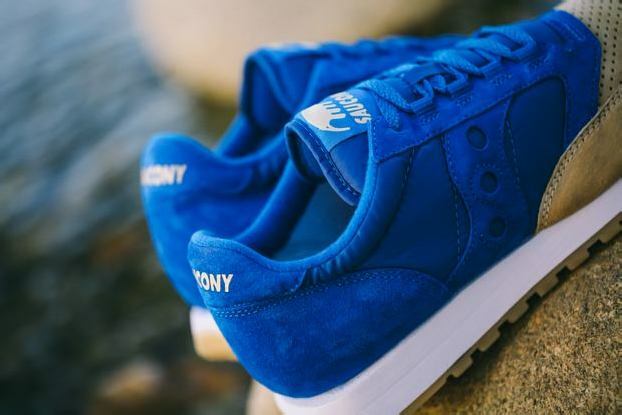 The upper is done in royal blue and is capped with a light tan toe. 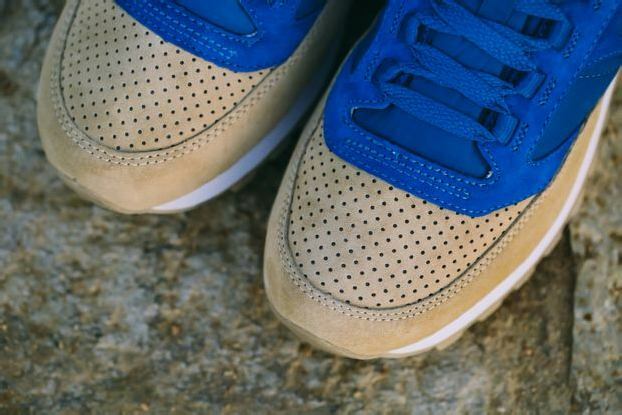 The blue panels are done in both suede and ripstop for variation, while the tan toe is done exclusively in suede to represent the texture of a sandy beach. 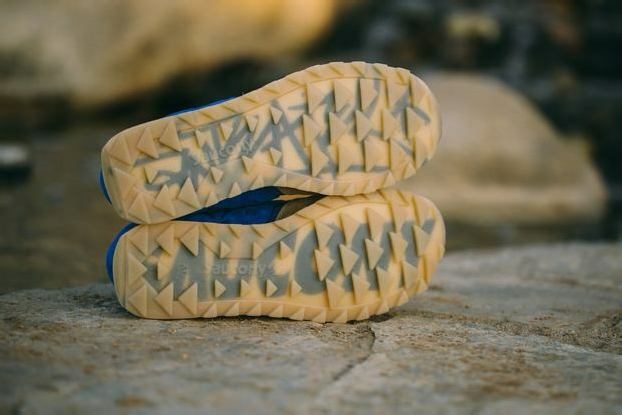 The semi-translucent gum sole reveals writing on the underside of the midsole, giving the effect of words being written in the sand. 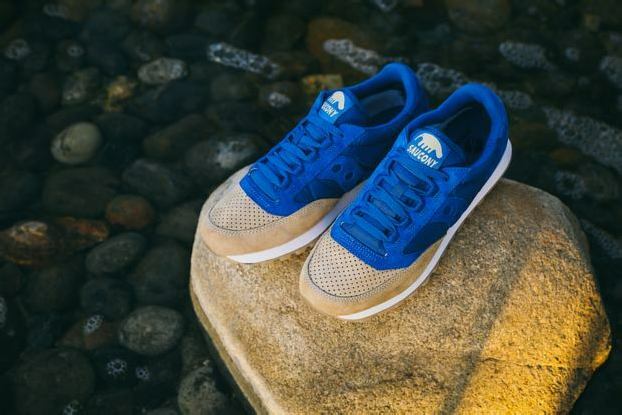 The sneaker comes laced with both blue and tan flat strings to match the color of your preference.